Last December, I booked into Gary Hamel’s 1-Day ‘What Matters Now’ workshop in Melbourne, which I thoroughly enjoyed, but more importantly I loved his impassioned plea for leaders and organisation’s to create new types of workplaces that are ‘fit for humans’. Gary Hamel is an international best selling author. He has written 17 articles for the Harvard Business Review. 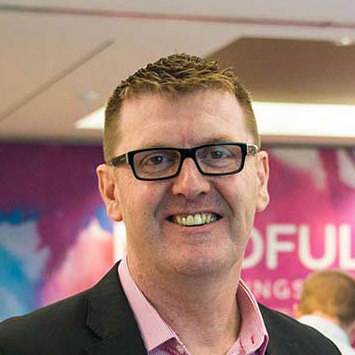 Since 1983 Hamel has also been on the faculty of the London Business School and he is currently the director of the Management Innovation eXchange. 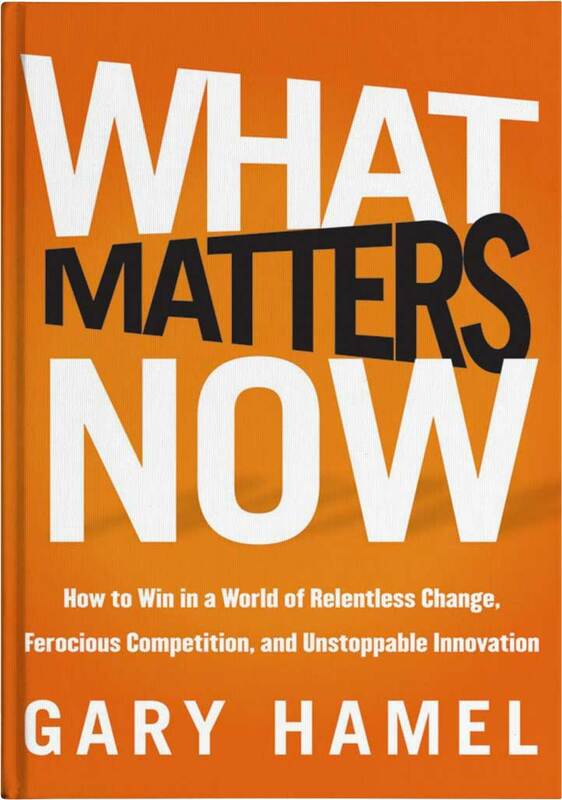 What Matters Now was released in 2012, but having only just completed reading his book, I now understand the importance of his message to totally recalibrate the fundamentals of businesses and the urgent need to redesign our workplaces and the way we lead them. Hamel argues that many of today’s managers are too busy with a battle of survival, totally distracted by exponential change, fierce global competition and overwhelming technological innovation. Therefore, they are failing to reset the agenda for ‘what matters now’ to work and lead successfully in the new twenty-first century paradigm. Combine this redundant model with the deep cynicism many people have of our business and government leaders (because of the greed displayed by ‘mortgaging the future’) we have workplaces where disengagement is the norm that is creating a collision course into irrelevancy! In ‘What Matters Now’ Hamel implores leaders to embrace ‘principles of stewardship’ where he believes we need to make urgent changes to what is required is a new operating system, and a new way of thinking and leading. Hamel describes in detail the five paramount issues required, to give readers a roadmap to navigate these crucial changes and determine whether your organisation ‘thrives or dives’ in the years ahead. 1. Values: We need a ‘moral renaissance’ in business and the only way leaders will do well is to do well for others – not themselves. Trust in large organisations is at an all time low, creating an urgent need to ‘rebuild the ethical foundations of capitalism’ by making a commitment to safeguard the future for your people. 2. Innovation: Hamel believes most companies have created a ‘creative apartheid’ where innovation has typically been left to the responsibility of a few individuals and in most cases innovation is, at best, a buzzword! “Control-orientated, top-down structures are similarly toxic for creativity.” Innovation however, is the only true defense against hyper-competition and globalisation. 3. Adaptability: The biggest risk for failure within a world of exponential change is inertia and inertia must be vanquished from our workplace DNA. Successful companies must build an evolutionary advantage by becoming agile with an ability to ‘change as fast as change itself’. 5. Ideology: Hamel argues convincingly that what we need is a new ideology based on better principles. We need to avoid the trap of defaulting to quick fixes or trying to insert better practices or more policies into our businesses that are about increased bureaucracy and control, rather we need to revolutionise and invert the tradition top-down workplace with more freedom, transparency, autonomy and self-determination. Hamel’s book can at times feel like an ideological rant – but it is not. It is an appeal to all leaders to change the way they think about and lead now and into the future. It’s about ‘future proofing’ yourself and your company in these chaotic but exciting times with a new ideology of self-determination and as he beautifully puts it making workplaces ‘fit for humans’.